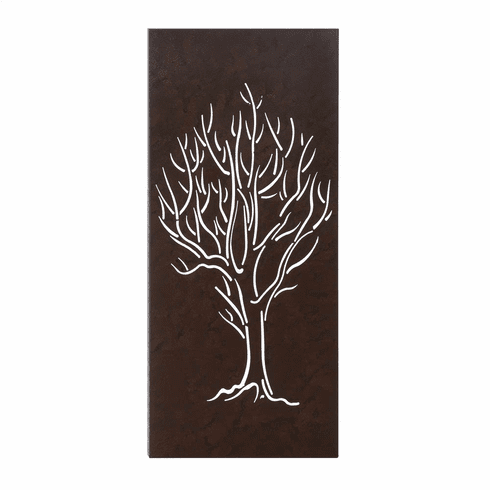 The stark beauty of a leafless tree is capture artistically in this rustic metal wall decor. The rectangular panel features a cutout of a bare tree and is a timeless artwork that adds modern style to your room. Item weight: 3.8 lbs. 13" x 1¾" x 30" high. Iron. UPC: 849179018115.